Dr. Fletcher is a double board certified OB/Gyn and Integrative Medicine. She has been practicing Obstetrics and Gynecology in the Charlotte community for over 20 years caring for thousands of patients during that time. The traditional office setting is transformed at Thrive so that more time could be devoted to her vision of optimal health. In 2017, she opened Thrive, a comprehensive medical facility that focuses on prevention and addressing root causes of disease. By offering patients an alternative healthcare setting that embraces Eastern and Western medical modalities, she strives to empower them to play an active role in the future health and vitality. She is uniquely qualified to address health concerns with her breadth of traditional, integrative and functional medicine training. Dr. Fletcher is a industry leading expert at vaginal health including dryness/ dyspareunia, recurring infection like BV, or UTI as well as laxity. 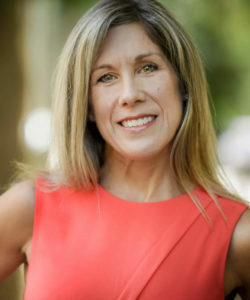 Regularly recognized by her peers as one of Charlotte Magazine’s Top Ob/Gyn Doctors, her passion for health and wellness inspired her to complete additional training and board certification in Integrative Medicine at the University of Arizona with world-renowned, Dr. Andrew Weil. She has completed full certification with the Institute for Functional Medicine in 2017 and trained under the leaders in Functional Medicine, including Dr. Mark Hyman.